The Aruino boards can be easily turned into MIDI devices so they will be automatically recognized by the PC system. The MIDI-over-USB function will be immediately active after loading the sketch on the Arduiono Leonardo boards. The ATmega16U2 chip that on the Arduino Uno R3 normally handles data transmissions to and from your computer via USB cable, can be reprogrammed so that Arduino is recognized as a USB-MIDI interface by the OS (Win/Mac). 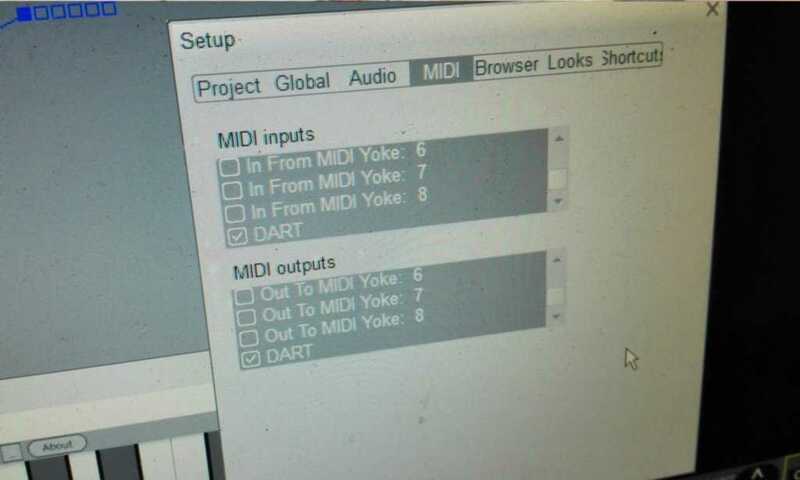 All common Audio and video sequencing programs will automatically recognize the “DART” MIDI port, from the available input and output ones. Start Atmel_FLIP, choose ATmega16U2 as Target-Device and USB-Comunication as Medium. 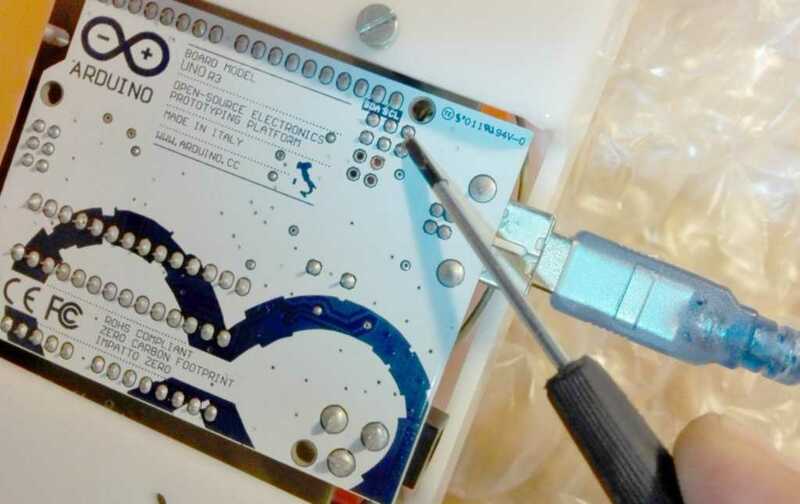 the procedure to reprogram the software through ATmega16U2 Atmel FLIP is currently valid only for Windows OS (just Google for Mac and Linux procedure). In USB-MIDI mode you will no longer be able to update a new sketch through Arduino IDE, because Arduino Uno R3 is recognized as a MIDI device.